Our puppy has spent the past few months in prison working on basic obedience commands, like sit, down, stay, and come. 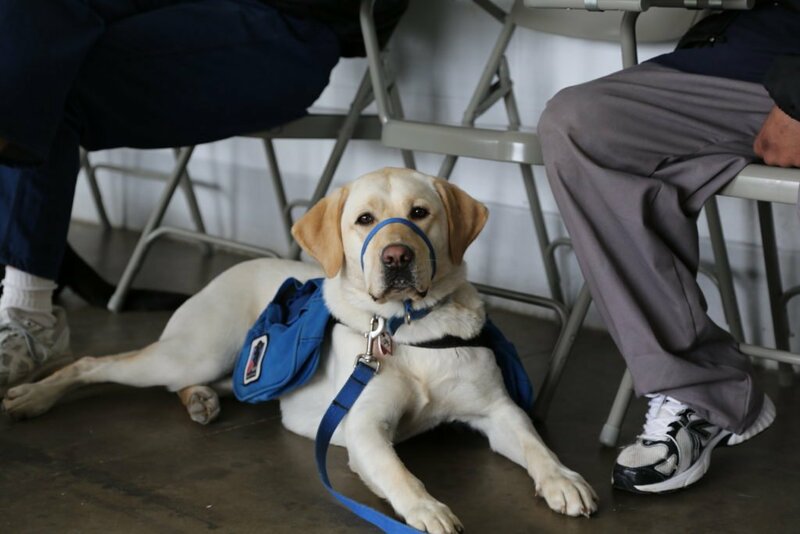 It has also started learning tasks like jumping onto platforms, getting under tables, and speak – all exercises that are used when the Service Dog is in public and for overall control. 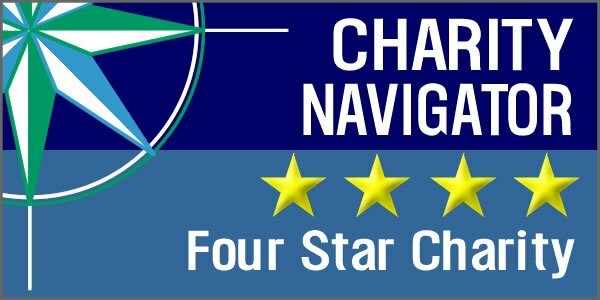 Other tasks like nudge and paw are the building blocks of specialized task work like picking up dropped items, turning on light switches, pushing elevator buttons, and tugging open heavy doors. At about six months of age, the inmate handler starts to incorporate canes, crutches, and manual wheelchairs in the training. Although our puppy has seen this equipment before, this is the first time he will start practicing obedience next to it. Also at about six months of age, our puppy is introduced to the Gentle Leader. Though often mistaken for a muzzle, the Gentle Leader (the loop around the Service Dog’s nose and the strap behind its ears) is actually a type of head collar that makes it easier to walk a dog, particularly for those who have limited or no strength in their arms or hands. It also becomes a signal to the dog that he is in “work” mode. Since the Gentle Leader is something the pup will use for the entire time he is a working Service Dog, it’s important to create a positive association with wearing it. This is done by the inmate handler in a controlled manner over a 4-week period, giving the puppy plenty of time to get used to wearing and walking with the Gentle Leader. 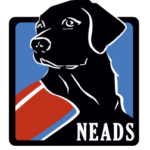 Follow our Year of the NEADS Dog series here.